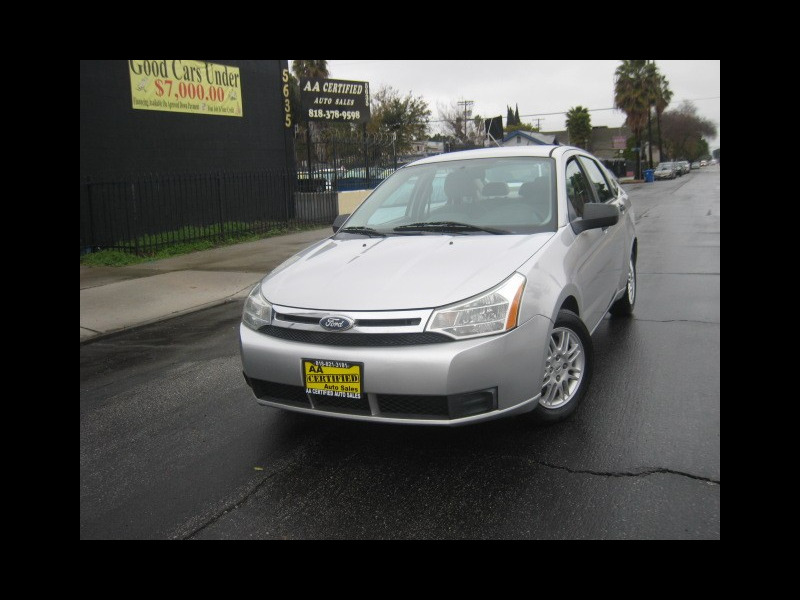 2010 FORD FOCUS SE 4 DOOR !!!!!!!!!! ONE OWNER REGULARLY SERVICED ......112k MILES..........Silver Color With Tan Interior..............WIRE LESS BLUE TOOTH.......... KEY LESS ENTRY: AM/FM/MP3/ AUX/USB; Power Windows; Power Door locks; Power Mirrors; Cruise Control: Alloy Wheels; Rear defroster And much more!!!!............................... Call Us Now to Schedule a Test Drive (818) 821-3181 OR Come See Us In Person at 5635 Tujunga Ave. North Hollywood CA. 91601..................Vehicle History Available ........ Financing available. LOW A.P.R. (on approved credit) BAD CREDIT, NO PROBLEM (on approved down payment)!!!!!!.................... WE HAVE MORE LOW MILEAGE AFFORDABLE CARS IN STOCK.